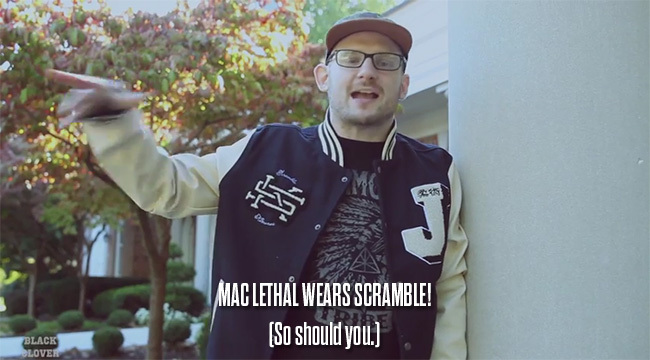 One of the most suprising and enjoyable recent developments at Scramble is discovering we have a fan in Mac Lethal. Mac Lethal is a ridiculously talented rapper, and he also trains jiu jitsu. He’s wearing our Jiu Jitsu Letterman jacket and our Peace through Superior Subs sweater in his latest music video. #SupportSaku! Commemorative Saku x Renzo t-shirts available NOW.